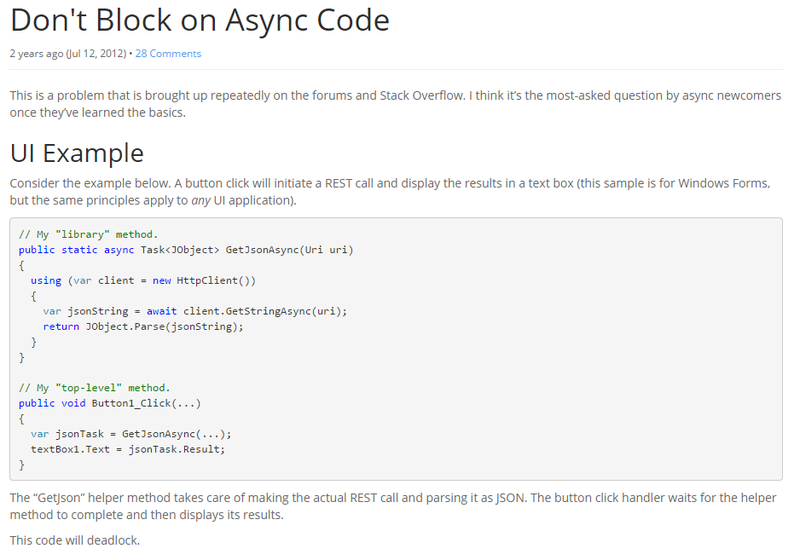 While trying to figure out what the problem is with our app ( link ) I've been reading up on deadlocks that can occur while doing Async/Await the wrong way. Here's a very insightful article on how deadlocks occur and how they can be avoided. Basically, if you've got async methods that you're forcing to execute synchronously ( with either .Wait or .Result ) you have to be careful. I would have considered that a code smell and as it turns out, that's true!